No American state is more antistatist than Alaska. And no state takes in more federal money per capita, which accounts for a full third of Alaska’s economy. This seeming paradox underlies the story Stephen Haycox tells in Battleground Alaska, a history of the fraught dynamic between development and environmental regulation in a state aptly dubbed “The Last Frontier.” Examining inconvenient truths, the book investigates the genesis and persistence of the oft-heard claim that Congress has trampled Alaska’s sovereignty with its management of the state's pristine wilderness. At the same time it debunks the myth of an inviolable Alaska statehood compact at the center of this claim. Unique, isolated, and remote, Alaska’s economy depends as much on absentee corporate exploitation of its natural resources, particularly oil, as it does on federal spending. This dependency forces Alaskans to endorse any economic development in the state, putting them in conflict with restrictive environmental constraint. 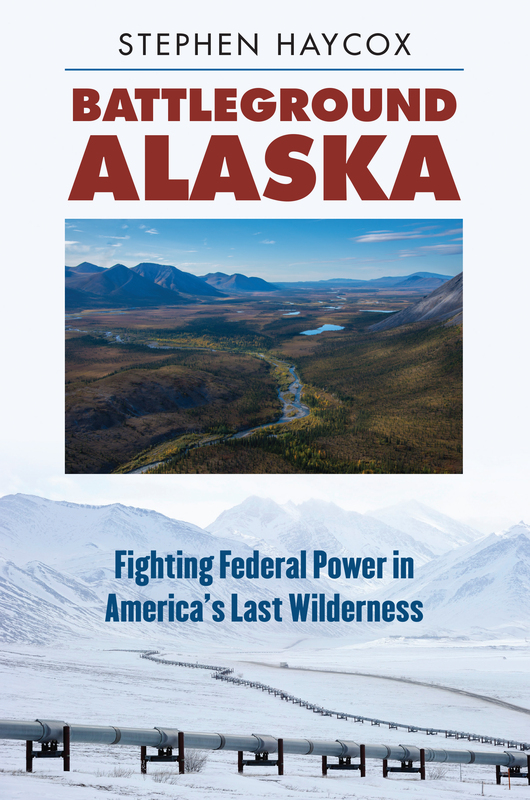 Battleground Alaska reveals how Alaskans’ abiding resentment of federal regulation and control has exacerbated the tensions and political sparring between these camps—and how Alaska’s leaders have exploited this antistatist sentiment to promote their own agendas, specifically the opening of the Arctic National Wildlife Refuge to oil drilling. Haycox builds his history and critique around four now classic environmental battles in modern Alaska: the establishment of the ANWR is the 1950s; the construction of the Trans-Alaska Pipeline in the 1970s; the passage of the Alaska National Interests Lands Conservation Act in 1980; and the struggle that culminated in the Tongass Timber Reform Act of 1990. What emerges is a complex tale, with no clear-cut villains and heroes, that explains why Alaskans as a collective almost always opt for development, even as they profess their genuine love for the beauty and bounty of their state’s environment. Yet even as it exposes the potential folly of this practice, Haycox’s work reminds environmentalists that all wilderness is inhabited, and that human life depends—as it always has—on the exploitation of the earth’s resources. Stephen W. Haycox is Distinguished Professor Emeritus at the University of Alaska Anchorage. He is the author of many works including Alaska: An American Colony and Frigid Embrace: Politics, Economics and Environment in Alaska.